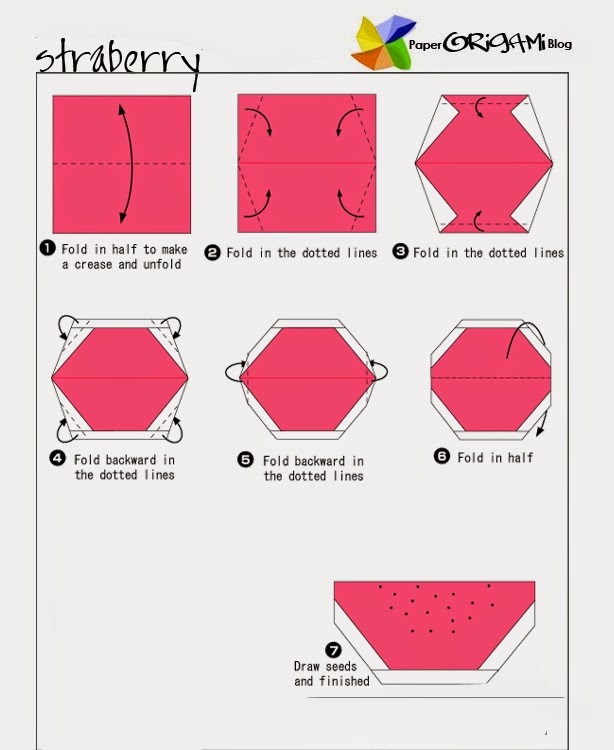 Origami watermelon - here is the simple way to make watermelon origami. Watermelon is a vine-like flowering plant originally from southern Africa. It is classify as annual plant with hairy pinnately-lobed leaves. Some botanist refer it as a pepo. The fruit has a smooth hard rind in green color. The shape is round. In Japan according to an articles that I've read they were able to make watermelon with cubic shape. So, let us now make watermelon origami. Please follow the instructions below.